Political empowerment, land alienation (by non-tribals, forest laws, dams, mining and militancy), education, poor standard of living and insurgency. Why are these issues crucial? Earlier, there was a safety in separation. The British administration didn't exist in Karbi-Anglong as it was a partially excluded area. People controlled all the resources. Now we are part of the mainstream. Political empowerment is important because non-tribals don't help in development of the tribals. A revenue secretary sitting in Dispur decides where a factory will be. Someone else decides the way a house is to be built under the Indira Awas Yojana, though Assam is in the Quake Zone V and needs traditional housing to weather the impact of possible earthquakes. I came in touch with leftist groups while studying in Dibrugarh. The CPI(ML) was banned at that time and I left my education midway to organise armed groups among the exploited people. When I won my first parliamentary election in 1991, my main issue was to create an autonomous state within Assam. We also began an effort to codify the customary law as laid down in the Sixth Schedule, but the state government opposed it. For the past 50 years, the Indian government has created a class of neo-rich in the name of development. This class exploits the tribes and works with the government. It makes no effort for self-rule, only on expanding the market. This has to be avoided. The economy has to be self-reliant. Industry should be in the form of small units that don't harm the environment. Forests were safe as long as the tribes controlled them. Jhum (shifting cultivation) is given a bad name but it is not destructive of the environment. If tribals take out one tuber, they plant four. They have a lot of knowledge about managing forests. This should be studied, codified and theorised. Then laws should be made on these principles. They make houses that can weather earthquakes and they know how to deal with the floods in the Brahmaputra. What have you done to address the issues you think are crucial for your constituency? How do you rate your success in addressing those issues? I have been successful in raising awareness. But being in the opposition, I haven't had much success in their implementation. What are your plans to address these issues? Raising people's awareness to a level of a people's movement. How are these plans different from existing government plans? They involve a radical change for a socialist system. No. The power to make laws has to shift to tribal institutions, which should have democratically elected tribal bodies based on adult franchise. I am not trying to promote feudalism. 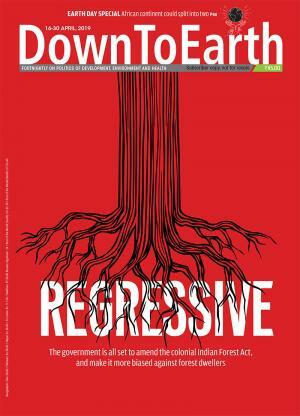 Tribals rely extensively on natural resources such as forests. What is your ideal method of improving the management of these resources? Tribal knowledge is quite good, but modern science need not be spurned at. There is definitely scope for further improvement of Jhum. The effort to regenerate forests leaves upper catchment areas. If you have to reserve forests, go for the upper catchment, not the plains. They are isolated. The party structure prevents their growth. Besides they can't do politics on straightforward tribal issues. The tribal politicians outside the Northeast rely heavily on the non-tribal votes in their elections. Why are tribal leaders unaware of the problems facing other tribal areas? The tribal movement has never been unified. The issues are different, unlike, say, dalit issues, which are uniform across regions. There are several cases of violence by one tribe against another, especially in the Northeast. Why? Actually, government policy divides tribal communities from one another. The contentious Manipur-Naga boundary was created by the British. How do you see PESA Act? Will it help in tribal areas? PESA by itself won't be enough. It ensures involvement of tribals in implementation. But who decides the plan of a certain area? The law-making has to come to the people.